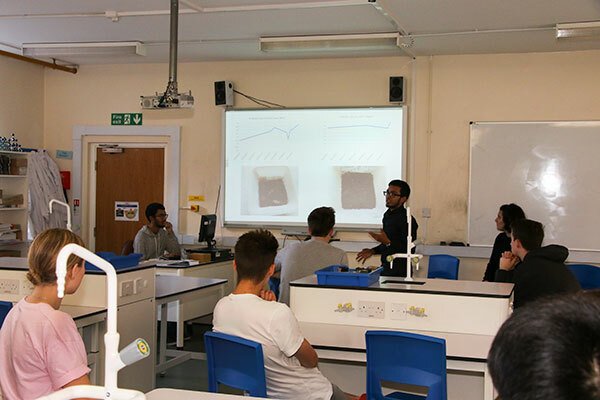 The students explained which peats were most combustible, linking this to a range of factors such as texture, water loss over time and the influence of the variable weather we have experienced in the UK over the course of 2018 in particular. 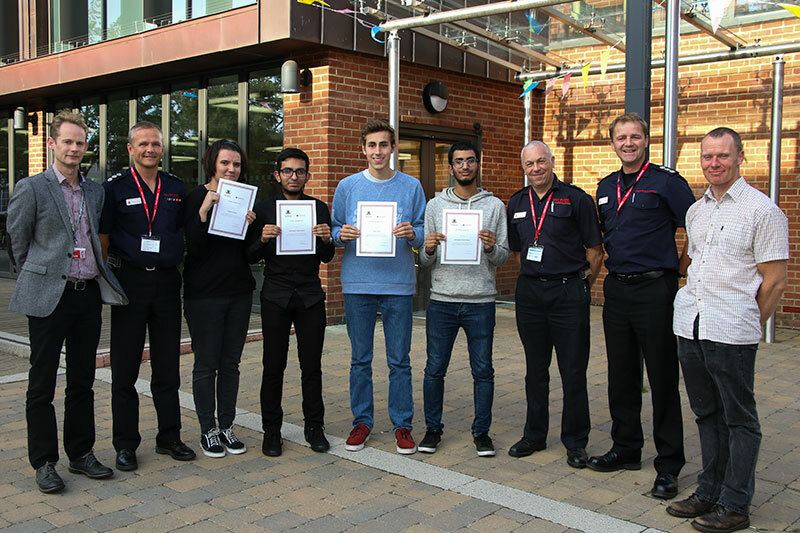 Jamie, Mohammad, Muhsin and Pagane were all presented with certificates from Richard in recognition of their efforts. 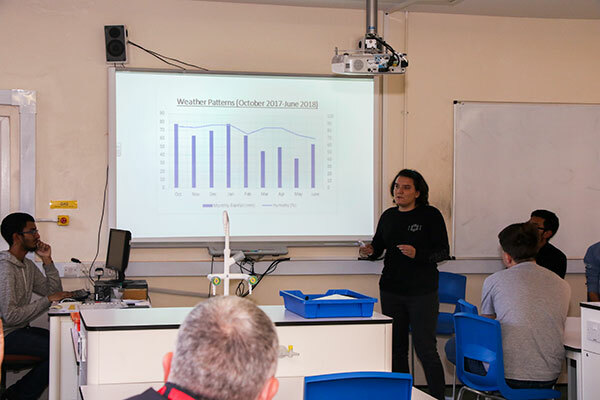 A number of first year students also came along who have now set up their own investigation into the three particular peats which demonstrated the most combustibility over a range of weather conditions during the last two years. They have also chosen to investigation some more ideas of their own based on feedback from Richard, Scott and Tom. Mohammad Salman Razak explains the water retention of two different peats using closeup photos of their textures to illustrate the reasons. Pagane Gacheva explains the previous year’s weather patterns in terms of temperature and humidity, linking this to the water retention data explained by Muhammad.